When it comes to reading glasses most people believe they have two choices, one they go to the corner store and purchase a cheap pair of spectacles. Or two, they go to the local optical shop and spend a couple hundred dollars on a pair of reading glasses. It came down to looking cheap, or feeling cheated. When it comes to custom prescription eyeglasses, a wearer can spend anywhere from $100 to $1,000 or more. The price will vary greatly depending on the style of frame and lens used. A designer frame from brand names like Prada or Armani can cost a lot more than a sporty name brand, like Addidas or Candies. The frame alone can cost anywhere between $60 to $500 dollars. People who are new to eyeglass shopping tend to believe that the price on the frame is the actual cost of the glasses. Unfortunately there is a whole other aspect to eyeglasses and the reason someone might need eyeglasses to begin with, the lenses. Lenses come with many options that can easily skyrocket the cost of any pair of glasses. Anything from antireflective coating to transitional sun protection are considerations. The type of material used in a lens is usually dependant on the frame style chosen, lens add-ons, and personal preference. For example, rimless eyeglasses must have polycarbonate lenses, as do children’s eyewear. People with higher corrections may opt for a higher index material for thinner lenses and lighter weight. Before you know it, that $80 frame you liked is turning into a $250 pair of eyeglasses, and that is being frugal. This may be necessary for a full time eyeglass wearer, but is it truly necessary for reading glasses? We all know you get what you pay for, and when you put on a pair of $2.00 reading glasses, aside from feeling like you just blocked your pretty face with a $2.00 piece of plastic, the optics are usually sub-prime is those drugstore glasses as well. So what is the best solution? Is there a middle of the road? A great pair of reading glasses that does not cost a fortune? The great news is yes there is! Actually there is a whole bunch of them to choose from. Some savvy eyeglass designers have realized that when it comes to lens options in reading glasses, they can be satisfy a majority of the population with a straightforward, aspheric, usually polycarbonate lens. This is because reading glasses are always low plus power, and have the same correction in each eye. An example of one of these companies is EyeBobs the manufacturer and designer of some of the most fun and flashy designer reading glasses out there. All EyeBobs frames are of the same (and sometimes better) quality than you get at the optical shop, only with added features that make them easy to slip on and off. These features are because reading glasses are in constant motion, whereas your average pair of glasses are designed to be left on for a days entirety. Another designer of reading glasses is Scojo New York. 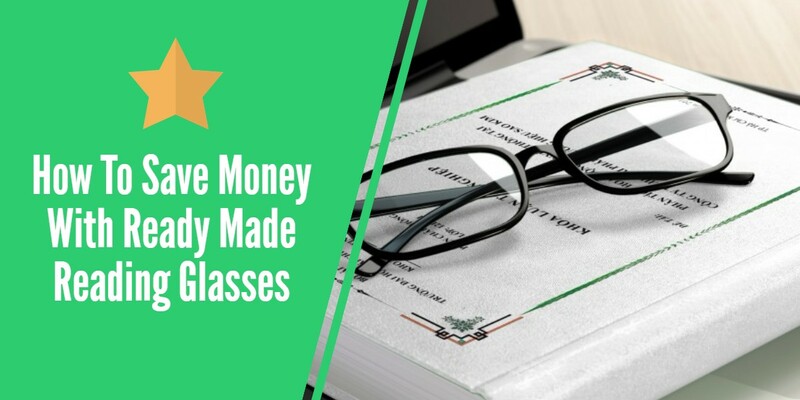 Originally founded by a New York optometrist and his business partner, this company became very popular for taking classic eyeglass designs and pre-manufacturing them into reading glasses. There are a few other visionary designers that have brought amazing quality reading glasses to the everyday person at an incredible value. Such as Amy Sacks and Seeqa. If you have ever shopped for reading glasses, you know that the power of the lenses are always specified with a plus sign in front of the number (+). This plus sign means the lenses are converging light rays to bring images in focus closer than they really do. Lets explain that a little further. In general, consider there a three types of lenses. Concave surfaced (minus), flat surface (plano), and Convex surface (plus). A lens with a concave surface will expand light rays as they pass through, bringing the area of focus further away. In reality, if you expand light rays, they will never meet until they go through another (convex) refractive surface. Nearsighted (myopic) eyes require minus lenses to bring the focal area of the image further back in to the eye. A truly flat surface lens will have an overall power of zero, meaning it does not refract light. Think of a window, you can see through it, but it does not change the image. Have you ever looked through an old glass window that is not 100% smooth? Notice how the image gets distorted? Consider those wrinkles as little lenses at work. With each increase in diopter strength, the bigger an object may appear, but the closer we have to hold it to see it. So a +1.00 pair of reading glasses may give you a clear image of the computer screen, but may not be adequate for tiny hobby activities. And a +3.00 may look great for removing a splinter, but you can forget about comfortably reading a newspaper. The actual power you need is going to be more a function of age, visual demands, and existing vision correction. If you need reading glasses and tried to put on a pair of glasses with a minus power lens, it would simply exasperate the problem. On the same note, if you have a friend that is in their late thirties and wants to experience what it is like to need reading glasses, all they have to do is slip on a pair of -2.00 eyeglasses and try to read a magazine. All the optics aside, it comes down to simple algebra. Thank goodness when it comes to reading glasses we usually don’t have to go above a +3.00. ou have just purchased a great new pair of designer reading glasses and want to preserve their integrity. So what exactly is the best way of doing that? When not in use, always store your eyeglasses in the case provided. All reading glasses come with coordinated case at no extrra charge. There is a reason for this, we want you to truly enjoy your fashionable eyewear. Keep your lenses clean by using the complimentary microfiber cleaning cloth that comes with each pair of glasses purchased. If not using your glasses to read, but you feel the need to wear them consider using the best clip on sunglasses to compliment them. Never wear your reading glasses on your forhead. Doing so stretches out the temples and will result in a loose fitting pair of glasses in time. When putting on and removing your new glasses, think straight on and straight off. Pulling them off to the side will loosen the temples and in time stretch your glasses so they no longer fit correctly. When resting your glasses on a table or desk, always face the lenses up to avoid scratches. Occasionally wash your glasses and lenses with mild liquid soap and warm water, this will keep them clean all around. Occasionally, a loose fitting pair of glasses just needs a screw tightened. usually a quarter to half turn does it. Never over-tighten the temple screws on your glasses. By using care when handling your new eyeglasses, you will ensure that they stay clean, free of scratches and stretching. Enjoy your new readers! Proper eye check-up should be taken before deciding to buy reading glasses. Eye specialists recommend best suitable reading classes according to your weakness of vision. Buying and wearing them without recommendation can cause further weakness of eye sight.